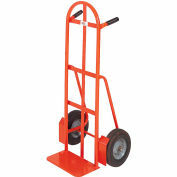 Modern Equipment MECO 251PN Pin Handle Hand Truck Pneumatic 600 Lb. Modern Equipment MECO 54VR 4-Wheel Warehouse Hand Truck Mold-On Rubber 1000 Lb. 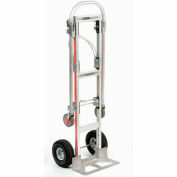 The 200 Series Hand Truck provides many features that are high priced options with other manufacturers. Hand Truck employs a durable 1" diameter double welded steel frame to withstand a variety of operating conditions and ensure years of service. 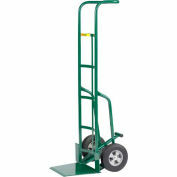 A full height vertical brace adds strength and rigidity and three cross straps contain virtually any load. The large 7 ga. x 8" x 14" steel toe plate is beveled for easy loading and includes rounded corners that prevent serious damage to product, equipment and personnel. 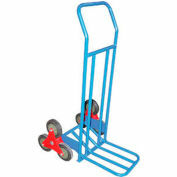 Steel wheel guards protect the load and permit free wheel rotation. 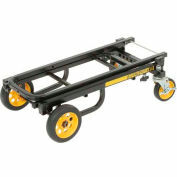 Rolls smoothly with 10" ball bearing wheels. 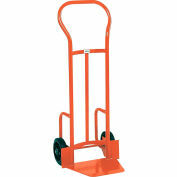 Orange enamel finish. Shipped assembled. Made in USA. 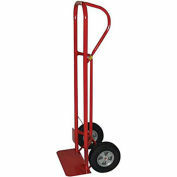 Modern Equipment MECO 92H Heavyweight Shovel Hand Truck Steel Wheels 1500 Lb. 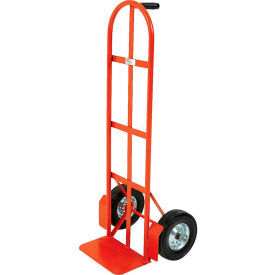 Modern Equipment MECO 210SP Curved Handle Hand Truck Semi-Pneumatic 500 Lb. 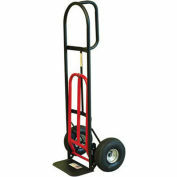 Modern Equipment MECO 250PN Loop Handle Hand Truck Pneumatic 600 Lb. 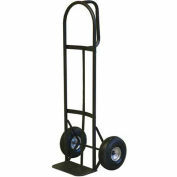 Modern Equipment MECO 282PN Curved Double Handle Hand Truck Pneumatic 600 Lb. 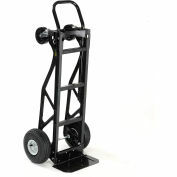 Modern Equipment MECO 210PN Curved Handle Hand Truck Pneumatic 600 Lb.